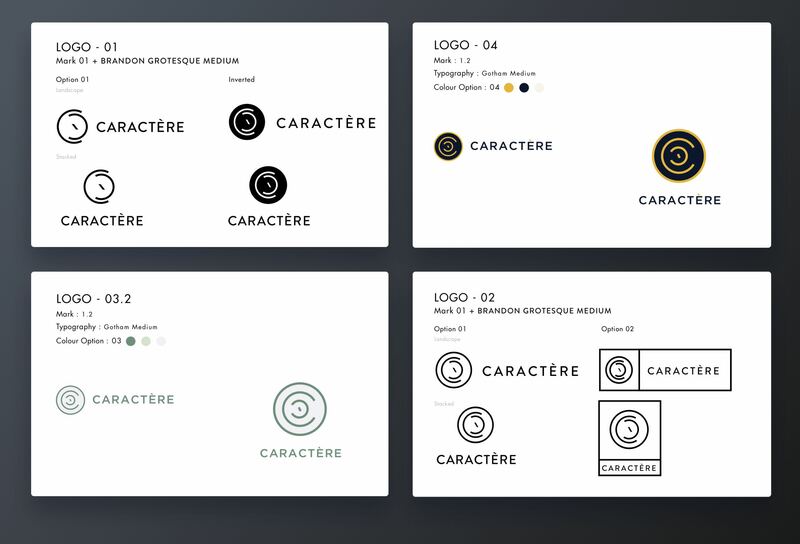 This is a brand design project for a husband and wife who are both passionate Chefs that have worked for several years in France, for well known Michelin stared chefs. They are now back in London and have decided to open a restaurant together. 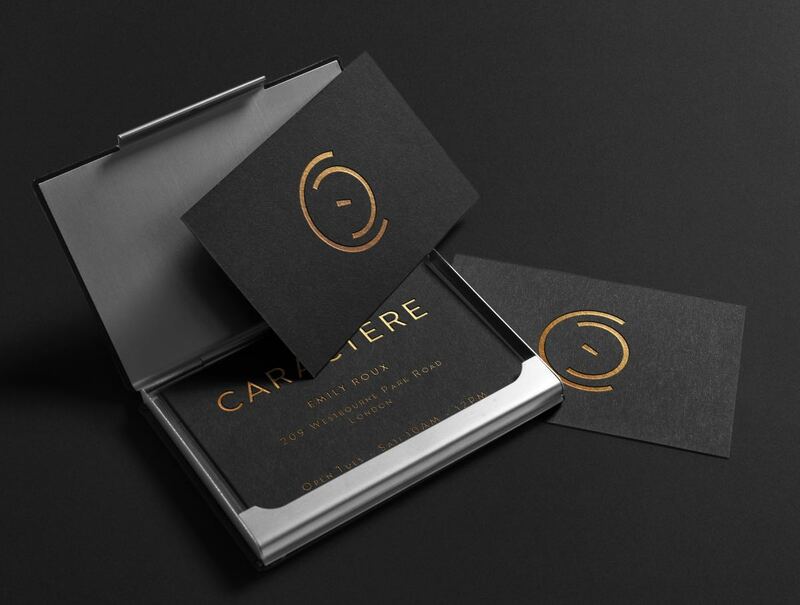 n French Caractère literally means character or personality; something which they both have a lot of. Cooking allows them to express their personality. This name also expresses their classical training in France and the language in which they communicate together. We worked together for 2 months to craft the perfect logo for them. 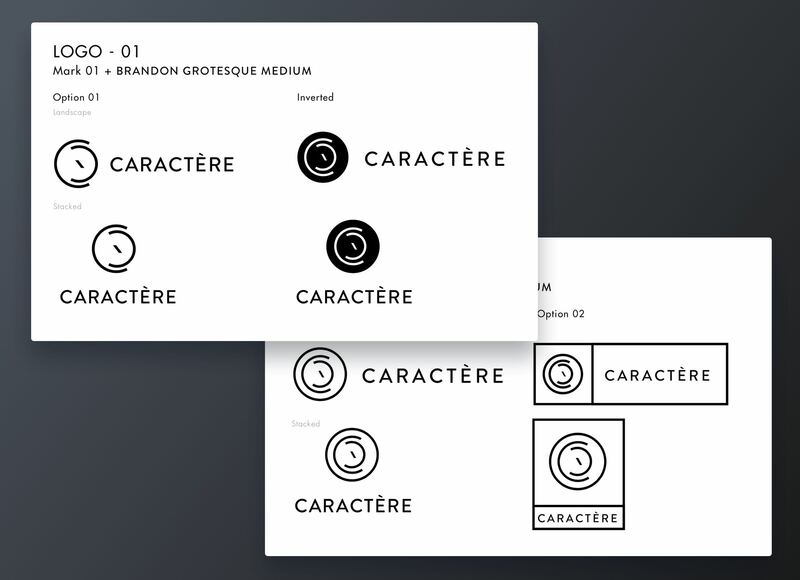 We defined 3 keywords that best sums up Caractère. 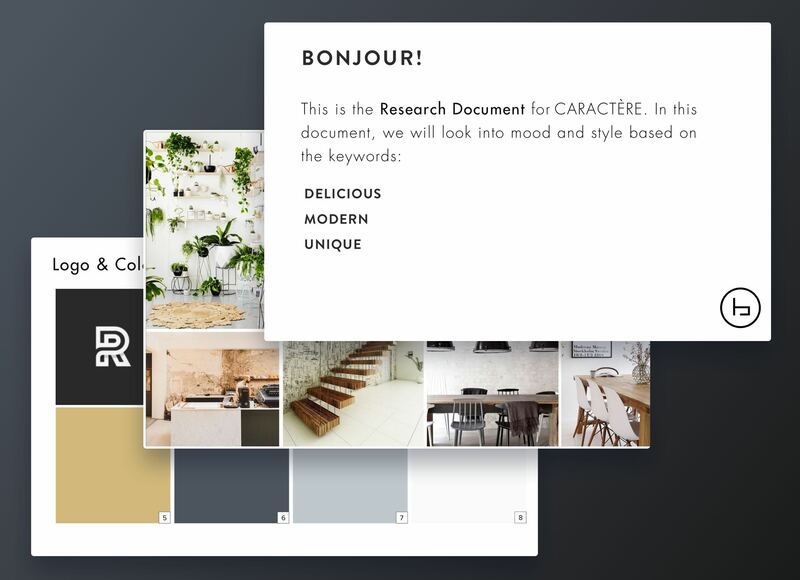 From this I researched colours, imagery and logos that suited each keyword, then they narrowed down which keyword research best reflected their vision. Based on the logos they liked from the research document I then went about creating a variety of low resolution marks, complete with a rationale as to why that mark would work for their brand. 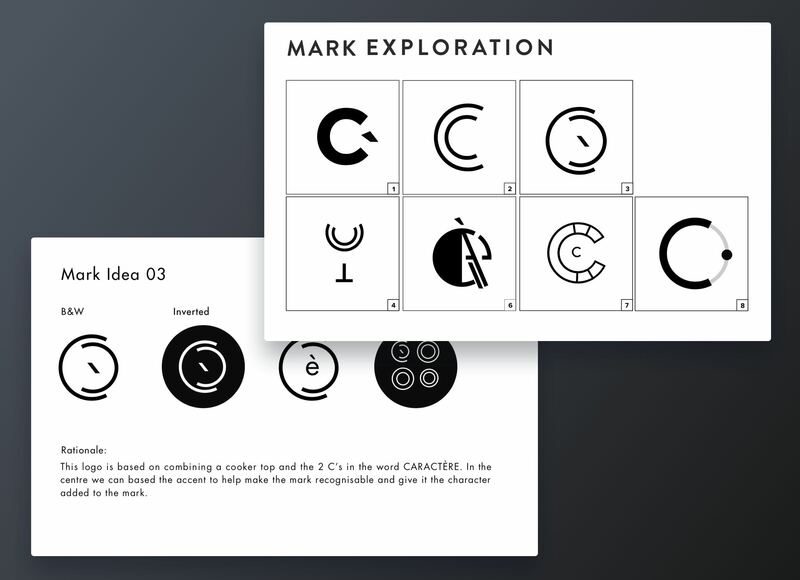 The preferred mark was depicting the 2 C’s from CaraCtère, with the accent in the middle. They also are a symbol of the gas hob top used for cooking. 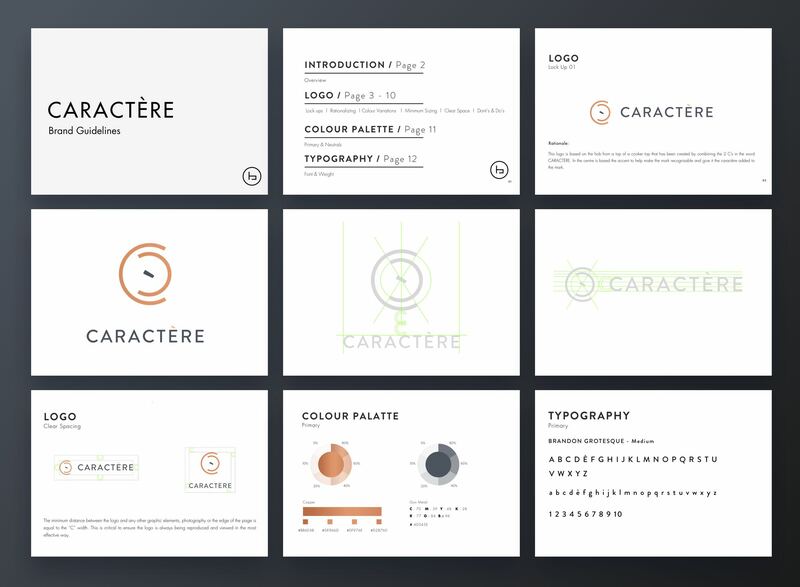 We return to the research document to experiment with a variety of colours that are all in keeping with the chosen keyword. I also took this opportunity to try a few variations of the mark in different layouts.